I've heard people raving about Skin Inc's Pure Snow White+ Mask, but hadn't tried it until recently. 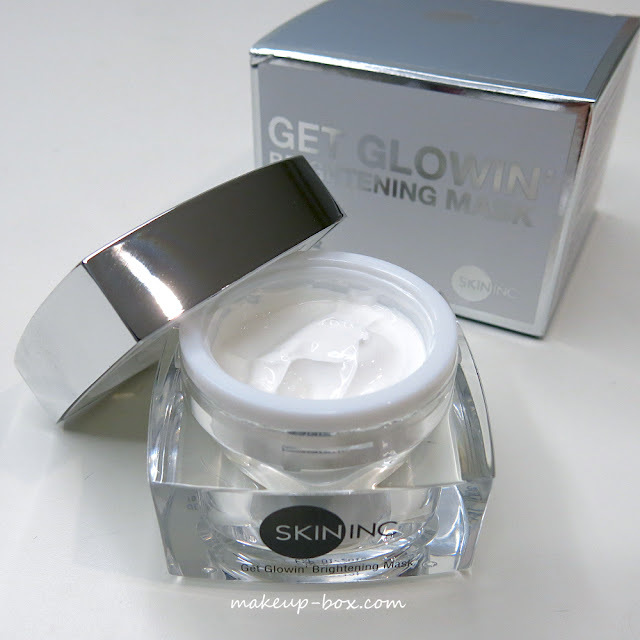 The product has undergone a rebrand and is now known as the Get Glowin Brightening Mask. I was recovering from rashes and general sensitivity recently, so I was quite reluctant to try new face masks, especially since many brightening masks tend to work through the use of exfoliating acid-based formulas. The basic premise of Get Glowin' Brightening Mask is its anti-inflammatory, antioxidation, and hydrating properties however. the host of soothing, repairing, anti sun-damage extracts such as licorice, ginseng, hyaluronic acid, stabilized Vitamin C, Morus Alba root, natto, aloe, and tyrosinase-inhibiting Scutellaria Baicalensis, which stops formation of dark spots and skin burning. nano technology to ensure maximum absorption of active ingredients; active ingredients are no larger than 100nm, which means they can penetrate deeper and work faster. 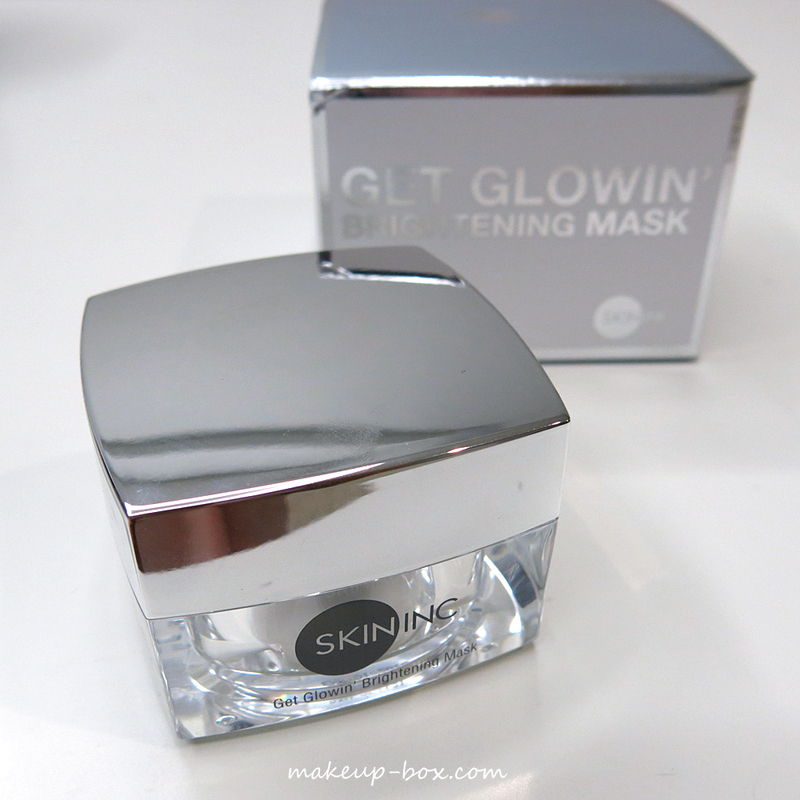 Get Glowin Brightening Mask should be applied for 10 minutes and then rinsed off with lukewarm water. If you need intensive repair for a big occasion, you can use this daily for 2 weeks straight. I haven't tried using it that intensively, but I really liked what I saw every time I used this. When you first apply it, you actually feel a soothing, cooling sensation on your skin. The nanonized water and extracts very quickly go to work smoothing and calming your skin. It's not often that I actually find masks pleasant on the skin; they're usually drying (oil-absorbents), tingly/stinging (exfoliants), or sticky/messy (hydrating/soothing). 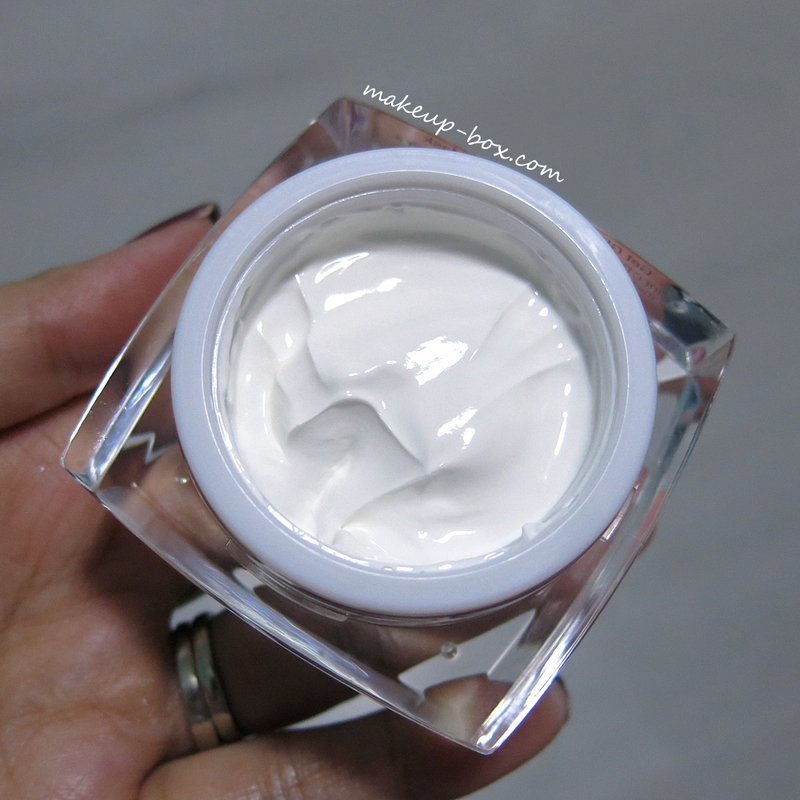 This non-drying, non-greasy, fluffy white cream just feels refreshing. The first time I used this was after a workout outdoors, when my skin was all flushed and I could really use the speed cooling and the emergency after-sun repair. When I rinsed off the mask 10 minutes later, my skin felt completely fresh, and also looked very smooth. This isn't a pore-refining or anti-blemish mask but somehow it felt like my pores were tighter as well. Don't quote me on that; I can't figure out what ingredients actually does that, but I am guessing it's the positive ions. I personally can't say for sure if neutralizing negative ions from within the skin has any long-lasting benefits, but it sure feels good and gives a quick instant boost. And I like the fact that this is able to perform rapid repair and help neutralize free radicals - especially after sun exposure and physical activity when skin is much more stressed out and inflamed. I apply SPF50 PA+++ (at least) every time I go for a workout, but there's no way to block 100% of UV damage, especially with all that sweat. So the best way to take care of your skin is to pair pre-exposure sun protection with post-exposure repair. Get Glowing' Brightening Mask is available at Skin Inc stores and on iloveskininc.com for SGD$98 for 30ml, S$178 for 50ml and $286 for the jumbo 100ml size. It's a bit of an investment, but in my opinion getting skin repair right is critical. Many of us don't think twice about paying over $90 for premium mud masks which have little to no long-term anti-aging benefits. I do as well - so there's no reason to skimp on a repair mask which will go a much longer way in terms of skin rejuvenation. If forced to choose, I'd far rather invest on this and skimp on my mud masks in future. But that's just my opinion!